Here are our guidelines when it comes to making decisions for outdoor recess. 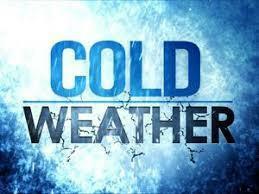 Temperature 16 to 20 - Outside with indoor option for students who wish to remain inside or lack adequate clothing. Temperature 10 to 15 - Abbreviated recess of 5-10 minutes with same option for 16 to 20 range. Temperature 10 or below - Inside recess. *Wind chill will be taken into consideration. Please make sure that you child comes dressed for the cooler temps, with coat, gloves and proper foot wear.